If you know the full scope of services your locksmith provides, you will know exactly which emergencies it can help you resolve. A Locksmith can offer a wide range of services and its to your benefit to know what they are before the emergency happens. Any quality company will have around the clock emergency service, which can often be at your side in under an hour. However, you need to know what it can do for you or you won't know to call when you need it. Even if it's not an emergency, you can benefit from knowing what a locksmith can do for you. You may have additional options for staying safe about which you don't yet know. You probably know already that you can call your service if you've locked yourself out of your vehicle or lost your car keys. However, in addition to getting you in your vehicle, many companies can also re-key or recode your vehicle keys. You may also be able to get a replacement transponder key from them if you've lost yours. The residential services available go way beyond just getting you back in your home if you've locked yourself out. First, many homes don't have as strong a lock as you might want. So your lock service can entirely replace your door locks with stronger high-security locks. Residential service also often includes things like the installation of safes and vaults within your home. If you manage a commercial property, your lock service may have special services designed to meet your unique needs. First, you might be able to take advantage of special discounts for high usage customers. It can help you secure the multiple entry points and internal doors, perhaps even with a keyless access system, that your office might have. You can also get assistance in securing file cabinets, drop boxes, and safes. When you do select your locksmith, you do also want to look at the type of customer service it provides. This includes issues from its response rate after you call to the scope of key models and manufacturers with which its staff has experience working. Today's locksmiths usually provide a far broader scope of services that the companies of old, so they can likely do more than you think. When you understand the full range of services they perform, you can think more proactively about your own safety and how they can best meet your needs. It might be time to take a closer look at what a locksmith can offer you. A locksmith does a lot more than what people usually think they can. You can be benefited in multiple ways. Professional locksmith services provide an inclusive support for the entire security set-up for your home, work, and car. In order to avail excellent service and complete assurance, one must consult licensed and experienced locksmith services in the first place. As per current trend, almost all organizations are installing closed-circuit cameras to keep a record of everyday happenings in their workplace. A CCTV camera helps to do close monitoring on your employees and clients. Installing it in the right place and angle will give you the best view of your commercial property and the events taking place there. Professional locksmiths are capable of installing the CCTV cameras and setting everything for the finest experience. They will also fix and customize the burglar alarm for keeping you feel safe when you are away from your office. The security tools have been improved along with the rising demand for high-tech security devices. Considering the requirement of fortifying the apartment security, a good number of people are seeking help for replacing the old school cylinder locks with cutting-edge digital devices. Thanks to the new technology and current advents, now anybody can reinforce family security with advanced digital locks. The use of professional help would make sure of a maximum return on your investment. Your commercial property deserves more than just ordinary protection. For the safety of your business and workers, setting a limited access of the place is important. Installing a bio-metric system won't be enough if it is not modified for the best result. Take advice from a locksmith near you for personalizing the device with security code. For assuring restricted entry, seek expert's help to set your fingerprints or handprints as your secret password. If the car key is not coming out from the ignition or has broken inside the hole, a locksmith is the best person to call. No matter what's the time, they will attend to you and solve the problem in no time. The best part is that in the entire process nothing gets damaged. It is a common problem for all who drives a car in hurry. People forget to remove the key from the ignition before closing the car door behind, only to realize that they have locked themselves outside the vehicle. In such situation, pulling the door or breaking the glass window will only damage the vehicle further. 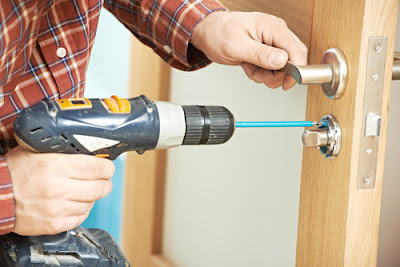 You can get rid of the trouble by giving a single call to 24/7 lockout services. 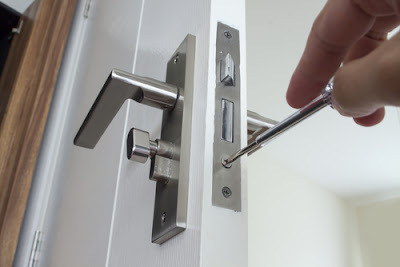 Emergency locksmith services will also provide instant help in residential lockouts. It takes them only 15 minutes to reach in the spot and unlock the jammed door. Sometimes, the locksmiths are called for saving people who are stuck inside the vehicle during a road accident. Often a skilled locksmith is the only person capable of rescuing people by opening the jammed door. Whether it's the early hours of the morning, the dead of night, or the middle of the day, 24-hour locksmith services are there to assist whenever they are needed. 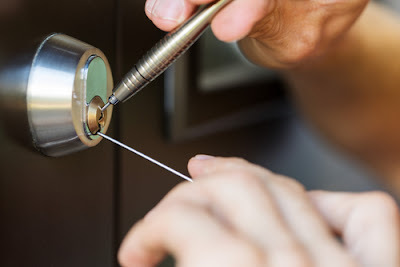 Due to their specialized set of skills which produce a great impact on people's lives and assets, locksmith services are a fundamental part of any home, business, or mobile safety and security plan. They can provide a layer of safety and security that every person needs in their lives. A locksmith can help you maintain and install numerous kinds of lock systems that you need for your properties. Numerous types of Locksmith services will include emergency, industrial, commercial, and residential setup. Each of these varieties can give you with security options that range from high level to low-level lock systems. This article will help you learn about specific pieces of information about each locksmith services. You may use these pieces of information as a reference in case you need to hire professionals to perform certain unlocking services for you. What are different types of locksmith services? Emergency locksmith typically specializes in unexpected situations that need immediate action. Locksmiths who offer these services typically offer their locksmith services in 24/7. It is the typical setup to help cover most of the emergency situations that may occur when you least expect it. Emergency locksmiths services can offer assistance to clients who have locked the keys inside the vehicles, buildings or homes. They also require a certain kind of tools meant for emergency manipulation of locks. Tools mastery is important because this can help determine if the professional can effectively perform the task that has been given to him. Industrial locksmiths should have the ability to implement security solutions for establishments such as factories and the warehouses. This will include lock installation in truck entrances as well as warehouse garage doors. Filing the cabinets as well forklifts are also other items that need heightened security for large buildings. CommercialThese include office buildings and schools. They can readily attend to specific lock related needs of employees and their businesses. These issues may include admittance of employees to exclusive areas inside a building. This can also serve as the safety measures during after-hours. When you are looking to hire a locksmith, there are a few things that you should be looking for. You could call any locksmith only and find that the work that you need to be done isn’t something that they regularly do. That could end up being a waste of time, and if you are calling the wrong locksmith can cost you some money, you would have saved. Here are some things that you need to know before you hire different types of locksmith services. 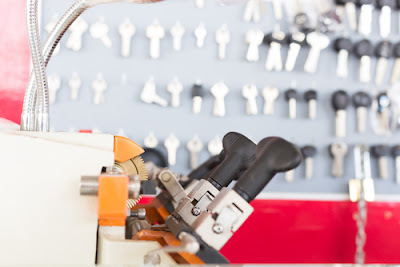 The 24-hour service could be one of the important things that you get from a locksmith. The reason for the importance of the "around the clock" service is that you didn’t know when you will require the locksmith service. You could need them at 1 PM or in some cases 1 AM; Your locksmith should be ready to help you at both times. If you are the customer, then the services that you will need will be a lot different than those required by a residential customer. A business, for example, will be more likely to need the keyless entry, safe assistance, electronic locks, and the more complicates types of locks. Find out what the locksmith will do so you do not have to waste time later looking for a new one. Because of the high sensitivity of the service that the locksmith will provide you, the reputation they have is of extreme importance. That does not mean that the new locksmith will not be good or honest, but if you know that the service provider already has a good reputation, then you will not have to worry much about the result. The price list is not as common as the other services. Always locksmith will give you an estimate, but if the locksmith has a price list either on the website or themselves, it means that you will not be taken benefit of. If a price list is not available then make sure that you always get at least a good estimate of parts and labor. Although the emergency services could be confused with 24-hour service, it is not. An emergency service means that you can have the locksmith at your location within a few minutes as opposed to having to make an appointment in hours that are not thought of as business hours. You can also check yellow pages or local newspapers for the advertisements of various security services. They provide their contact details in the advertisements. You can shortlist the companies and contact them for more information. Then you can select the company that provides the best services. Thus, this was some essential information about how to find the right kind of locksmith service. Finding the best professional is very important. Contact your friends and neighbors and get the recommendation from them. They will recommend the company depending on their experience with the company. This is a positive point because you can depend on the services without doing any research or study. You can also conduct an online research session in case you have no issues in opting for an online service. Many companies offer security services at discounted rates which will easily fit under your budget. You can read the customer reviews for a better understanding. A locksmith is an individual who labors with locks and keys. Locksmithing is the occupation of a locksmith. Locksmiths fix wrecked and broken locks, create keys, and instate safety systems e.g. alarms. Many locksmith services in Singapore operates a communicative service to attend their clients on-site or from shop buildings. Locksmiths will deliver services for increasing entry to locked or thronged locks, replacing deadbolts when a lock fails or when a key is lost or obtaining retorted or broken keys from standing locks. Numerous locksmiths will also be professionals in achieving entry to safes and hold extensive information on viable safety. 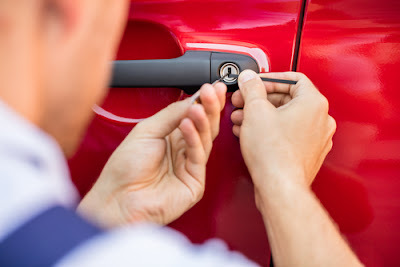 Even though you have familiarity in fixing the various lock difficulties and hitches, you will need a locksmith for the reason that they provide varied facilities and services such as lock cutting, new-fangled ignition keys, trunk unlocking, replicating vehicle keys or entrance keys, key censoring and at the same time restoring your adrift keys. Locksmith services also provide solutions to the manufacturing interrelated hitches. If your company is lacking security, a locksmith can act as safety adviser and can offer a wide range of security skills. If you unluckily get locked in the indoors of your automobile or you have lost your keys, you may feel high and dry specifically if you are in a far-flung area. The first and pre-eminent way out for this state of affairs is to request for a locksmith as they are always near. Emergency locksmiths in Singapore are always ready to receive all calls irrespective of time constraints. 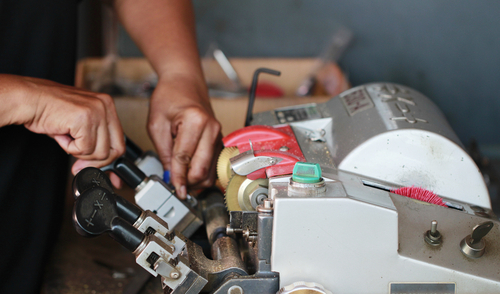 Repairing seems like an exhausting task, but locksmiths fulfill this mandate too. It is the times when thoroughgoing miss accomplishments happen with people’s locks or losing of keys take place. Locksmiths in Singapore gets on their transference and are present to help the individual smashed into such an inconvenience. Are you wondering about the types of locksmith services available? It is essential that you gather the required knowledge about the locksmith services before you approach a locksmith company. Of course, you can easily ask the professionals to provide you with the best contract according to your requirements. But there are some fraudulent locksmith companies that try to cheat their clients, especially those who are not aware about the locksmith services available and the benefits related to each of them. There are some locksmiths who offer their services at the domestic level. They can help you out with lock and key solutions for your home. They can replace traditional locks with the latest locks available, create duplicate keys etc. If you are looking for a locksmith who offers these services, then it is better to make a contract with a company that specializes in providing the lock and key solutions at the domestic level. 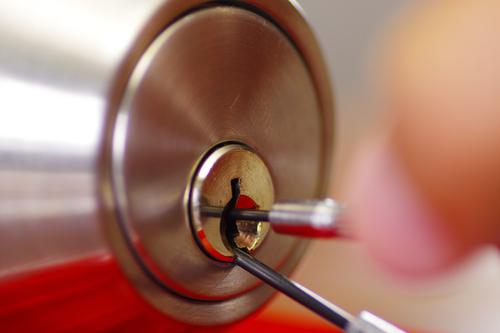 A commercial locksmith service is essential to sought after if you have a company. It is always better to have a contract. This will help you in case of emergency situations. Just think what will you do in case you get locked from outside and there is no one to unlock? Is it possible for you to go outside and call the local locksmith? But if you have a contract with a locksmith company, then with a single call you can get their service on the spot. A car locksmith contract should be sought after if you own a car. At times, it so happens that you keep the keys of the car inside and lock the door by mistake from outside. The key may also break while using and a part of it remains stuck inside the lock. What will you do in such situations, especially when you are out of town in some unknown place? Of course, you will have to wait until you come across a locksmith in that area, which is almost impossible in remote areas. But if you have a contract with a car locksmith service, then you can get the service whenever you require. How to Find the Best Locksmith in Singapore? To find the best locksmith in Singapore, you must check out the local directories and the yellow pages. The entire popular locksmith in Singapore is listed in the local directories, and you can simply reach them by taking their number and calling them directly. One of the best ways to find the professional locksmith in Singapore is by taking the references from the people. There may be your neighbors or your friends, who had recently taken the services of the locksmith and better guide you to find the best locksmith in the town. Another good way to find the locksmith in Singapore is to go online and search the key term "Locksmith service Singapore" and you will find a number of professional locksmiths in Singapore. There are many locksmiths are having their own website and offering customers a complete portfolio of locksmith services. You can book an appointment with the locksmith through their website, or you can simply call them after taking their number from the website or visit them. Locks are important to safeguard our homes, offices, and vehicles from intruders and thieves. Proper repair and maintenance of lock systems are quite crucial to ensure the safety of our belongings. Professional locksmith services can solve a lot of your locksmithing issues in a few minutes. Once you began your search, just take care of few things to before hiring a reputable locksmith. Make sure, that only select the experienced and professional locksmith and not a novice or an amateur who has just recently got in this profession. Also, inquire about the rates and charges of the locksmith without fail. Locks are the main source of security for our dwellings, vehicles, and businesses. However, chances are that one day you'll get locked out of your house or vehicle and be in need for the services of a locksmith. 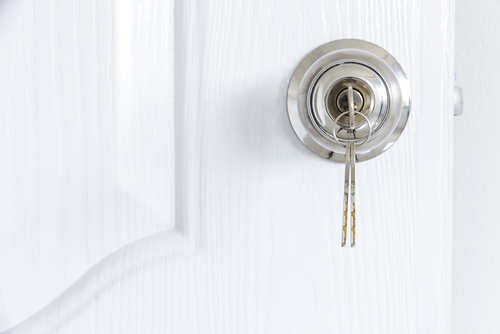 When you buy a new home, you may also need to change the locks to ensure that nobody else has your house keys. At these times, whom will you call to help you to get out of the trouble? A professional and reliable local locksmith will help you out. 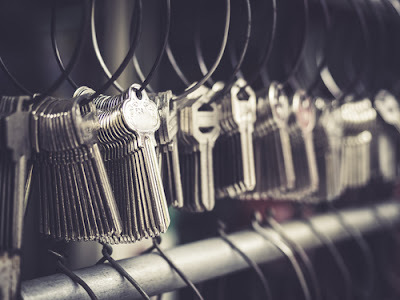 Locksmiths provide a wide range of services ranging from traditional key-cutting and re-keying of various locks, to a wide range of security solutions for enterprises. However, just as any other profession, there are many scammers and unscrupulous locksmiths who may damage locks, charge you more, and even give out security information about customers. So how do you find a quality locksmith that will fulfil their duties while maintaining a great reputation. To help you out, I have compiled some tips to help you whenever you want to hire a quality locksmith in Singapore. Word of mouth is one of the best ways of finding a reputable locksmith in your area. You can rely on referrals from your family, friends, and neighbours. You can ask them if they have utilized the services of any locksmith and whether they can recommend them. By finding someone who has utilized a locksmith before, you will be able to narrow down your alternatives. Nowadays, almost all businesses now have their own website recitation their services. Many locksmiths have websites with information on their services, hours of operation, and fees. This makes going online one of the fast ways to research and find locksmiths in your area. In addition, there are websites with records of multiple locksmiths in your area. You can use these to find multiple locksmiths in your area and then contrast their services and prices. You can then proceed to visit the locksmith websites and learn more about issues like fees, working hours, and services. One of the most important tips when hiring locksmith is to consider the nature of the problem you are facing. Some locksmiths specialize in helping unlock car doors, some specialize on commercial services, and others in providing residential locksmith services. By hiring a specialized locksmith, you will be able to reduce and eliminate the probability of damaging your locks or keys. Make sure your locksmith is nearby. You never know what time you will need the service of a locksmith. This is why it’s important to locate a locksmith that is localised. When you hire a person from another location, then the travel charges will get included in their price package. Worse still, you will get locked out of your house or car for hours as it will take some time for them to travel to your area. On the other hand, a localised locksmith will be inexpensive and you may get their services anytime. Understand locksmith liability and charge:Before you opt for the services of any locksmith, be sure to find out if he or she is insured in case of any damages. Though an insured locksmith may sometimes charge somehow more, it is better to choose somebody with an expert outlook. In addition, you should confirm prices and make sure there are no any hidden charges. 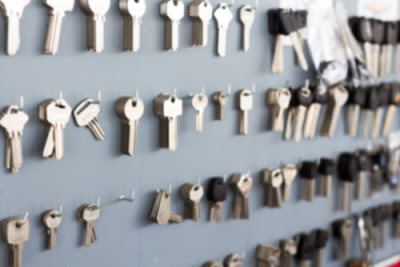 Failure to ask a locksmith about charges and liabilities will result in having a tough time with them when something goes wrong while doing his or her work. To check the reputation of a locksmith, you have to view previous projects that the he or she has undertaken. Did he do a thorough job and can the previous clients recommend them? To know this, you can ask them to provide you with contact details of the previous clients or even go online to see what people say about them. You also have to know how long the locksmith has been in operation and what he or she is planning to do with your locks. There are some things you will need to look out for before they begin work. A qualified locksmith will not need to remove or replace your locks unless the lock is damaged or defective. If a locksmith tries to do that, make sure you ask enough questions. If he is to install an additional lock, let him tell you why he or she is doing that and the kinds of additional locks he or she wants to purchase. Be on Guard: It is very important to know whether the locksmith you are opting for their services is reputable and qualified for the job. Never be timid about asking for their professional qualifications and membership with the major professional associations. A reputable locksmith should visit in a car with a clear logo and name of the company. Look carefully at the locksmith's vehicle and notice whether it is clearly assessed with a company title or logo. In addition, a reputable locksmith will inquire for your identification before beginning work. This protects you from break-ins and burglary. The locksmith should also itemize you with an invoice once the work is completed. Finally, you should always be prepared for any critical situations. This means having a list of reliable and reputable locksmith contacts with you at all times. You can also bookmark several website directories of localized locksmiths that you can access anytime you are in need. The security of your home and possessions is best when it is in the hands of a qualified locksmith. Sometimes you might be tempted to try and fix a lock yourself, but this may only make you incur even more costs. Despite there being many scammers around, there are many locksmiths in Singapore who do excellent work. Hopefully, with the above tips you will be able to find one in your area. Once you have find a reliable and reputable locksmith, remember to have their number at all times because you never know when you will need them. When you lose keys and are locked out of your own house or apartment, locksmiths are the one who comes to your rescue. A locksmith company provides various locksmith services. For your benefit, you should know about these services. Finding the right locksmith in Singapore is important so that you get a reliable service. Here are some of the important locksmith services that are offered by competent security services. Sometimes you misplace your keys and are locked out of your own house. Or you broke the locks or the key got stuck in the locks. There are several instances when you need a locksmith for residential purposes. Not many people can repair locks on their own. A locksmith can do a whole lot of things for you. They can install new locks in your house, or replace the old ones. They can create duplicate keys in case you have lost your old keys. They can also install vaults and safe for you. Some specialized locksmiths can also install an alarm system in your house. They will also advise on security and help you maintain your locks. A commercial locksmith in Singapore is specialized in security systems that are larger in size and more complex. They mostly deal with installing vaults in banks with complex locks system and similar industry where security is paramount. Complex locks systems like the biometric fingerprint or keyboard based locks are some of the others complex lock types that they specialize in. They don't just install and replace the locks and security vaults; they also help in maintaining them. They are very important for commercial establishments as maintaining such a complex system requires a thorough understanding. Imagine locking yourself out of your car? Many people have experienced this. Automobile locksmith can open the locks and make a new set of keys for you. They can also replace damaged locks in your vehicle. Sometimes the keys may get stuck in the ignition and break. In such situation, an automobile locksmith can help you. Vehicle locks system is complex too, and automobile locksmiths specialize in existing and new technologies. So, you can rest assured that your lock problems will be taken care of. If you found yourself locked out of your house or vehicle in odd hours, then you don't need to panic. The emergency locksmiths are available 24/7 and will reach you in no time. Locksmith services offer expertise on locks and provide essential services to anyone wanting to secure their valuables and property. These are usually important if you at one time lose a key or if the lock of the door breaks. Professional locksmiths in Singapore have the techniques, tools, and knowledge to help you secure yourself and misplace your keys. A locksmith can help you to create keys and open various other devices at a short and quick notice. A professional locksmith is important for you when you least expect them to be and help you in urgent times as well during the times which are not urgent. You need to know where to look and find out if the particular locksmith is reliable enough to trust him with your security related issues. Even if you lose a set of keys, you will have a spare set which will save you from the distressful situation of being locked out of your home or office, etc. You can either give these keys to any trustworthy member of your family or neighbor. Getting in touch with them will be easier and cheaper. But if you don't think the idea of giving your keys to anyone is not a good option then you should not take a risk. Keep the number of a professional locksmith handy with yourself. You can check everywhere you can get references from your friends, family members, search online, yellow pages, local papers, etc. You will get a large number of choices of locksmith services. Now you have to short-list them by services offered by them. You can check their websites or call them to inquire about their services. Make sure they offer all the above-mentioned services. You need to especially check the quality of emergency service offered by them as most of the security-related issues need urgent attention. Check with them how much time do they take to reach your location. Once you decide a locksmith service provider, you can save their number in your phone and call them in case of an emergency. This is one of the main concerns as later on several hidden charges gets uncovered. Enquire about the total estimate of their services and whether there is any hidden charges or extra charges for their emergency services. Many fraud locksmiths will charge you for various additional fees that he will tell you once he will be done attending to your issues. They will help you to make sure that the services are of high quality. 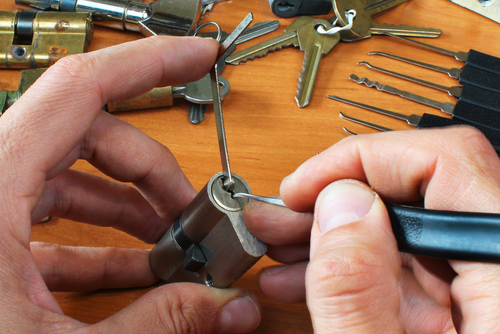 Make sure that the locksmith in Singapore that you chose are certified and trained as only. This will help you to make sure that the services you will get will be of high quality. You should also inquire that the locksmith service provider you choose is insured as in case the property gets damaged. You will at least be covered. If you follow the above tips, you will surely save yourself from the frustration of dealing with the security issues. We use locks almost every day to keep intruders away from our private possessions. For our safety, we will need a risk-free locksmith company at some level or other, and it is always essential to choose the best and reliable company. You will have to find those organizations that will provide on help through the crisis locksmith regularly who offer services 24 hours daily, every single day, all around the year. It is a fact that you don't realize the importance of your services until you have been in fact faced with an emergency. When you think of a locksmith, the first thing you think about is using their services to help you get into your house when you forget your keys. In addition to this, you may consider using locksmith services to create duplicate keys of your home to give everyone in the family. Locksmiths are professions that are highly important. Unfortunately, these professions are never over-hyped. They are not in the limelight as much as they deserve to be. It is only in emergency situations that people tend to run in all directions just to get hold of these guys. For instance, imagine losing your car keys on a bright sunny afternoon with your car parked on a busy suburban street. The situation is certainly not the one that you would cherish for a long time. The first thing you will start looking for is a locksmith. The situation will get even worse when you realize that you do not have a single locksmith contact detail on your mobile phone. To help avoid such a nightmare, one should always be equipped with the right contact details. One of the best places to look for a locksmith is the internet. With the web turning out to be one of the biggest and most effective marketing platforms, you will also come across some locksmith profiles. To specifically look for local locksmiths, you will have to keep the search limited to your city name. While making use of a search engine portal, make sure you type your city name. The world is aware of the importance of a locksmith, especially in an emergency situation. However, not many people tend to be equipped with the contact details of locksmiths providing service in their area. These are the individuals who end up desperately looking for one in an urgent scenario. Another effective way of looking for local profiles is by making use of Yellow Pages’. Way before the internet was invented; it was Yellow Pages that were used extensively for any search. Interestingly, even after the internet has become a sensation, this conventional search tool remains highly efficient and effective. One of the highlights is that Yellow Pages can be carried anywhere. More often than not, you will be contacting a locksmith in an emergency situation. In such a scenario, it is obvious that you will have to eventually pay a price that the locksmith demands to get out of the mess you are already in the best way to pay less is by identifying a cheap locksmith. So how does one come across a locksmith who charges a reasonable fee? To begin with, shortlist a few locksmiths that offer services in the specified area. Make sure that the locksmiths you shortlist are active in a region where you need them to be. Next, sit down with the profiles and start comparing them with one another. Apart from the quality of work, compare them by fee they charge. This way, you can eventually zero in on a Locksmith Services. In older days a professional locksmith may do just about anything lock-related. From making new locks through steel to carrying out maintenance, to cutting keys for your locks, and naturally, to opening them during lockouts, locksmiths back then were jacks of all trades. Though, these days, the actual refinement of locks have skyrocketed to the point where it is tough for any professional locksmith to be skilled in every aspect of the science and method of producing and busting them. This is the most common locksmith professional. They normally handle lockouts, which suggest opening up doors whenever you misplaced or forgot the key indoors. Residential locksmiths are on standby 24/7. For instance, Locksmith firms based in Singapore gives 24-7 emergency call out assistance. Applicable charges might include travel time; therefore it is advisable to get a local residential professional locksmith to save up on costs. Household locksmiths also usually accomplish more than picking locks. They can generate new keys for simple locks. Unfortunately, more advanced locks, which are powered by electricity, needs locksmith professionals specializing in those types. There had been a time when key cutting was just so effortless. Before we may simply give our key to any home improvement center wherein a patiently waiting locksmith professional could just duplicate them out from cut steel. Though, cutting these days is without a doubt much more intricate given that electronic transponders might be embedded in keys. Key cutting locksmiths are usually qualified to get the electronic codes for the locks through the makers before doing the job so that the sophisticated components can be replicated. This field of locksmithing specializes in generating new keys for a lock, particularly those where the master key had been misplaced. A re-pinning locksmith professional may also be involved with generating new locking mechanisms for an existing key. You might have to hire a re-pinning professional locksmith when you are going to have the locks at home utilize the same key. Re-pinning is a complex process, therefore, you could expect to have to pay more for these types of assistance. Now, locks are extremely tough to install that you may need to work with somebody to have them set up. That's exactly where an installation professional locksmith is needed. This particular professional locksmith is normally educated on all of the complications of installing a lock, for instance knowing the drill spot, the linkage of a lock together with security camera systems, as well as the installation of other types of theft-deterring measures. Find quickly; a warm and friendly, local service for all lockouts as well as locking mechanism modifications always go for a reliable locksmith. In conclusion, a good locksmith should also offer consultation services and be able to advise you on the locks that you should get installed for your various doors. Locksmiths play an important role in the lives of everyone. Although a professional locksmith is not always appreciated and is sometimes taken for granted, locksmith go a long way in keeping us safe and secure in our homes. Now that we`re in the 21st century, an era of the unpredictable, their services have become more valuable than ever. With the theft and burglary incidences on the rise, it would only be prudent that you familiarize yourself with a professional locksmith near you. I know you understand the agony of getting locked out of your home or car. Or even make a mistake of misplacing your keys, losing or even locking your keys, then you know it`s not a funny episode. We all know the drawbacks of forcing a door. Thankfully, you can make the ordeal less agonizing and stress-free by hiring a professional locksmith to help you spring the locks. A professional locksmith is someone who can help you in fixing, replacing, or strengthening the house locks. They can help in re-keying your locks in case you misplaced or lost them. 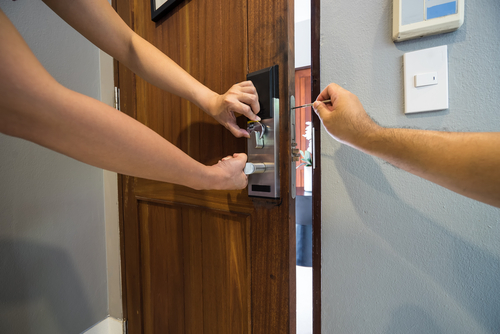 Unlike remodeling contractors or general contractors, hiring a locksmith will allow you to reap the best services from professionals who have specialized in house locks. And since we`re talking about some valuable life investments at stake, it`s always good to go with the best. When it comes to service provision, you`ll be astonished by the vast array of noble and unique services that this underrated career offers. Here are some of the services that you should expect from them. Losing a set of household keys and desperately wishing there was an idle set lying around has happened to everyone at some time. 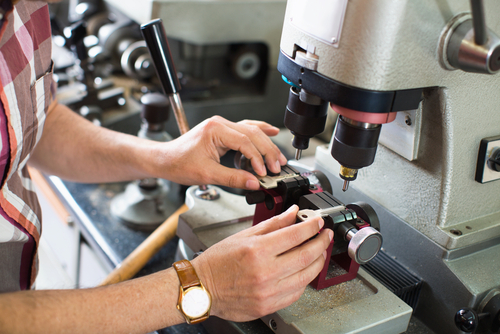 Utilizing calibrated machines, a locksmith can offer reliable service of cutting your standard house keys. 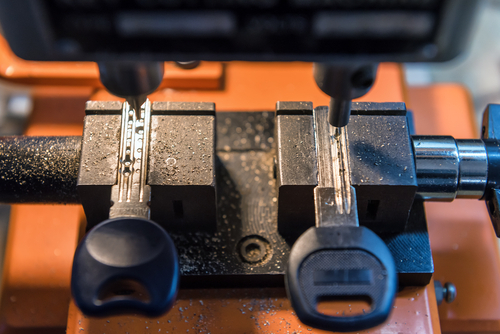 Apart from your standard house keys, with specialized hardware, they can cut even more complex keys like keys with electronic transponders inside. Losing your household keys or locking them inside of the house can be one of the most aggravating experiences to happen to someone. In case this happens, a professional locksmith can make easy and fast replacement because they always have key blanks and transponder chips in stock. Also, there`re some who provide immobilizer security codes and key numbers that facilitate the supply of misplaced or lost keys. Unlike the traditional soap impression of creating a duplicate key, the duplicate key service has become modernized, and it`s no longer a try and error method. Modern locksmiths can now replicate an exact and reliable duplicate. After years of prolonged use and sometimes frequent burglaries, locks are subject to wear and tear. At such instances, the locks no longer serve their intended purpose. A professional locksmith can help in repairing the lock and make it function purposefully. By using plug spinners, a locksmith can successfully pick a lock without damaging the doors or the lock. The plug spinner can rotate the plug so that it moves in the desired direction for the door to be opened. Locking yourself at night or when you`re just about to catch a flight is a disaster. Luckily, there're 24 hrs professional locksmith who can attend to you at any time of the week. These are the emergency locksmiths who always ensure that you get their services at any time. Being in the security field requires one to have valuable knowledge on personal security related matters. With the help of their working experience with the house locks and keys, a locksmith can be the person to guide you on proper installation of the security system in your house. And if you do proper research, you can find one that offers free consultancy services. Speaking of researching on a good locksmith company, there are qualities that should always look to help you find an excellent choice that suits you. This might seem subjective as there is no means or ways to gauge the reliability of a locksmith firm. But wait, what about go online and make a quick search review of the firm in question. Online customer reviews give you first- hand information about the locksmith, his qualities, cost, and all you need to know. You can make your decision from that. When it comes to personal security and convenience, there`s no limit to the price, but you can find a relatively cheaper locksmith that offers quality services. This is not to mean that you go for the cheapest locksmith, no, you should find one that is within your budget range that provides quality services. Striking a balance between quality services and the cost is the key. Always ensure that the relevant authorities have accredited the locksmith you hire. This is just in case a legal dispute arises or even because of insurance. Just like any other career, locksmiths have different specialties and offer different types of locksmith services. Some are specialist in door locks while others have mastered the automated window locks. Be sure to find one that suits your problem and is up to date with the latest technological advancement in the industry. If you happen to have a break-in into your house, you will require the help of a locksmith to change all the locks of your house for an added security. In addition, it`s better to have additional locks installed to boost your security and prevent any more break-ins. 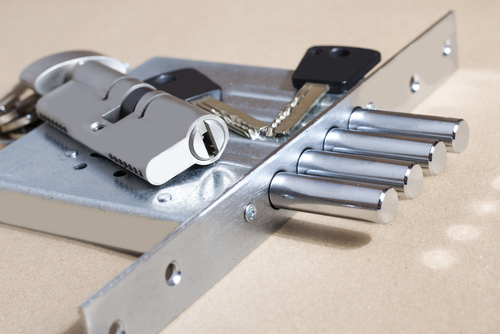 With the windows and slide doors being the favored break in points for burglars, it would be great to hire a locksmith to install heavy duty locks on them. They do not at any point hamper your usage, but will definitely prevent the break-ins. Hiring of a locksmith is no longer a luxury as it used to be, it`s now a necessity and you should also warm up for it.